It is with a great sadness that the Alford American Family Association announces the passing of its founder, Gil Alford. Gil passed away peacefully last Tuesday night, August 20th with his family at his side. He will be greatly missed by all who have ever come in contact with him. He was a very unique gentleman. He will be interred in the Jefferson Barracks Cemetery after a very small private service per his wishes. There will be no funeral and no flowers please. Gil's obituary appeared in the Sunday, August 25 edition of the St. Louis Post Dispatch. Although I never met Mr. Alford in person I was sad to receive the above message in my email Inbox. I corresponded with him when I was first researching my family’s Alfords. Gil was generous with his time. His letters and emails pointed me in the right direction to learn about my third great grandfather, Edwin Barksdale Alford, and his family. I became a member of the Alford American Family Association & subscribed to the newsletter. I am grateful to him and all he has done for many of us Alford cousins. When Gil retired he looked for a hobby and it did not take long till he turned to genealogy. Soon Gil turned to Alfords as the focus of his research. About 1982 he began reaching out to Alfords and gathering information on the surname. He used Roots Cellar & The Genealogical Helper to connect with anyone with connections to the surname. His early research went into three ring binders on shelves in his basement. The Alford American Family Association (AAFA), incorporated in 1987, grew out of the work of many "Alfords" around the country whose efforts were coordinated by Gilbert K. "Gil" Alford, Jr., compiler and publisher of an Alford family newsletter, "About Alfords." The AAFA has grown tremendously from the first years. Yearly meetings, that began in 1988, bring together Alfords from many states. 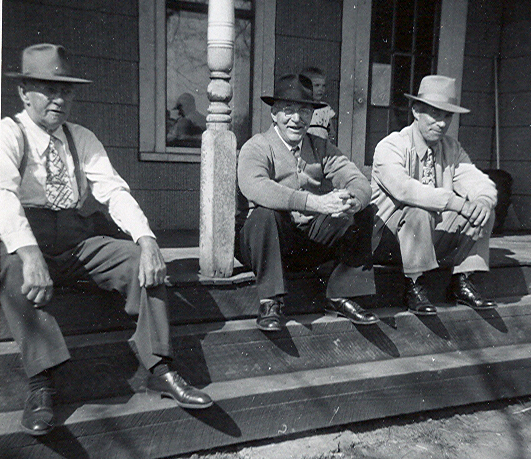 The meeting & National Alford Reunion are usually held on the second weekend of October. This year’s meeting will be in Raleigh, NC. If you are an Alford and you visit the AAFA be sure to send a silent thanks to Mr. Gil Alford who looked for a hobby and found a huge family! The stone is broken. The top of the stone is laying at the foot of the upright portion. 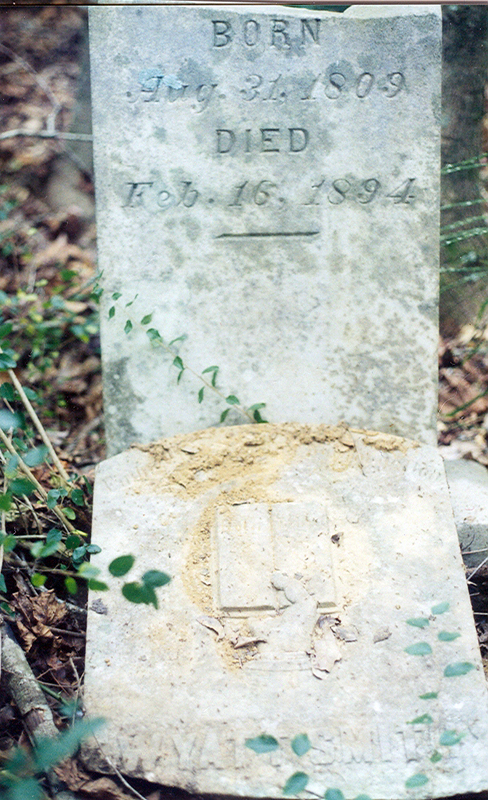 We visited the cemetery in 1979 and had a difficult time finding the stone through the undergrowth. 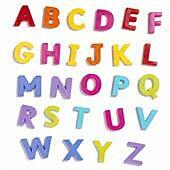 Continuing my Alphabetical Ancestors, here are my ‘N’ surnames. names that don’t often appear in my blog posts in hopes of connecting with others who share these names. We can compare facts, sources & stories and expand our combined information. Please read through to discover if you are the cousin I am looking for. Roy Edward Nee [1878 – 1963] was the son of Henry and Matilda Nee. Roy was married three times. In 1922 he married Isabell Esther Mark [1903 – 1984] in OH. They had two sons, Harold and Paul. Harold served in the Army during World War II. He had four children. Edward Newell [b 1873 OH] married Cora Bell Mark [1872 OH – 1905 OH]. They were married in Ohio in 1892. In 1900 Edward was a day laborer in Wooster. They had two daughters: Edna & Maude. Cora was only 32 when she died. Willis L Nichols [b 1869 OH] married Rephenia Cathern Gruissy [1870 OH – 1943 MI]. They had one son, Richard Ray Nichols [b 1886 OH]. They were married c 1891 and by 1900 were living in Michigan. Willis was a carpenter. He & Rephenia also collected and sold seashells to button makers. Rephenia was well known in the family for her large size, her wonderful sense of humor and for smoking cigars. She was my great grand aunt. Jacob Noonemaker married Anna Margaretha Ritter [b 1776 PA]. They had two children: Maria Elizabeth [b 1794 PA] & Johanas [b 1800 PA]. Charles Edwin Norris married Ethel May Miller [b 1893 OH], daughter of Charles Henry & Effie Belle Miller. They had two children: Raymond Lemoin [b 1913] and Viola May [b 1915]. Raymond Alexander Nothstein [1914 PA – c 1987], son of William D & Bessie Nothstein, married Viola Cathern Mark [1913 OH – 2004 FL]. They were married in 1935 in OH and had four children. In 1940 Raymond was a laborer in Summit Co, OH. Other ‘N’ surnames in my tree: Newton, Nicholls & Noye. My Nana, my mother’s mother, Helen (Coyle) Gardner, moved from New York City to a little house in the country. I have a couple little items from that house. This heavy metal key was one of her door keys. When I was little it was larger than my hand. I didn't know anyone else who had such an interesting key. I can picture her standing on her front stoop, head bent as she turned the key in the lock and then dropped it into her handbag. Then my mother would steady her mother's arm as we all stepped off the stoop and climbed into our station wagon to take Nana to her doctor's appointment or shopping. Nana’s house had no close neighbors. There was a farm up the road and beyond that was the cemetery. Because she was rather isolated she had a string of bells attached to her front door. They jingled prettily when we opened the door. This brass bell was one of those bells and it reminds me of many happy visits to my Nana. My visit to the Charlotte Mecklenburg Library in Charlotte, N.C. yielded many resources for my family and inspired me to search more once I returned home. Between the library & the internet I found the following evidences of my 6th great grandfather, Humphrey Lawrence. 1742. A list of jurors for the next Supreme Court included Humphrey Lawrence & his father-in-law, Thomas Ashley. Source: Bertie County North Carolina County Court Minutes 1740 thru 1743; 1758 thru 1762. Book II. North Carolina: 1977, page 59. 1747. A Sale of Land from Humphrey Lawrence to his brother, George Lawrence. The land had been willed to Humphrey by his father, Robert. The sale was witnessed by his brother, William. “January 9, 1747. 7 pds. 10 sh. For 120 A. ‘…A Certain Piece of Land which was Willed to me by my father Robert Laurence…’ On SS Bear Swamp ‘…being part of the Land my Father Robert Laurence Lived on when he died…’ “ Source: Bell, Mary Best. Colonial Bertie County North Carolina 1744 - 1753. Volume V; Abstracts of Deed Book G. Windsor, North Carolina: Colonial Bertie, 1965, page 283. 1749. Humphrey Lawrence was the witness to a land sale. Source: Bell, Mary Best. Colonial Bertie County North Carolina 1744 - 1753. Volume V; Abstracts of Deed Book G. Windsor, North Carolina: Colonial Bertie, 1965, page 299. 1753. Thomas Ashley deeded 82 acres of land on Cashoke Swamp to his son-in-law Humphrey Lawrence, goldsmith. 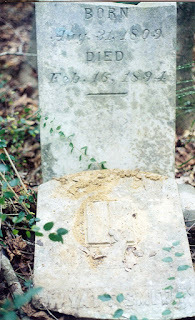 “ ‘…for love… we bear unto our well beloved Daughter Ann intermarried with the s’d Humphrey…’ Land on WS Cashoke Swamp. Adj. Thomas Ashbourne, to the Great Branch ‘opposite the Old Plantation’, Thomas Ashely, Henry Vanluven, Robert West, Jun. The same land which was bought of Henry Vanluven July 20, 1747. Wit: Samuel Ormes, Jane Ormes. November Court 1753. Samuel Ormes”. Source: Bell, Mary Best. Colonial Bertie County North Carolina 1753 - 1757. Volume VI; Abstracts of Deed Book H. Windsor, North Carolina: Colonial Bertie, 1968, Page 336. 1767. Humphrey Lawrence was the executor of a will. Source: Gammon, David B. Abstracts of Wills; Bertie County, North Carolina; 1722 - 1774. Raleigh, North Carolina: 1990. From the Charlotte Mecklenburg Library, Charlotte, North Carolina. Pages 85 - 86. Ann. “To my daughter, Ann Laurence, I give one girl named ---, and an equal part of the household goods”. Source: Almasy, Sandra L. Bertie County, North Carolina Wills 1761 - 1780. Joliet, Illinois: Kensington Glen Publishing, 1990. From the Charlotte Mecklenburg Library, Charlotte, North Carolina, page 78. There were many more items but the handwriting was too difficult to read. Two pages of inventory were divided into sections labeled: Frederick, David, Nathaniel, Reuben & Ann with items & their value listed below. This inventory was discovered on Family Search/North Carolina/Bertie County/Probate: ‘Bertie County Estate Records, indexed by Names’. 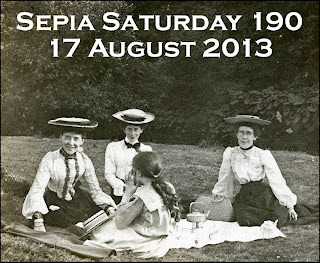 This week's Sepia Saturday photograph shows ladies having a picnic on the grass. That reminded me of photographs of picnics at my Grand Aunt Wava's house in Ohio. She & Uncle Alvin had a terrific old farm house with a long porch along the side. Many family picnics were held on the farm. Aunt Wava & Uncle Alvin had warm hearts and always welcomed family. They loved to host gatherings when we folks from New York State came to visit. There would be a long table in the house that could barely hold the weight of all the home made food. There would be people scattered through the yard holding plates full of food and catching up with the family news. Second from the left is my great grandfather, Thomas K Mark. He was my father's maternal grandfather. Thomas K Mark is in the center of this photo with Roy Nee, son in law, on the left and Eslie Guy Mark, brother, on the right. 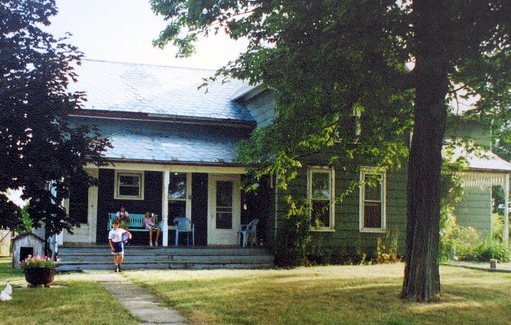 Here is the same farm house in 1993 with my children playing together. My father, my children & I were visiting & I was collecting genealogy information & copying family photographs. Visit Sepia Saturday for more posts! My daughter, Alyssa J Pasquale, has been taking classes to learn Italian. These classes are just for fun. 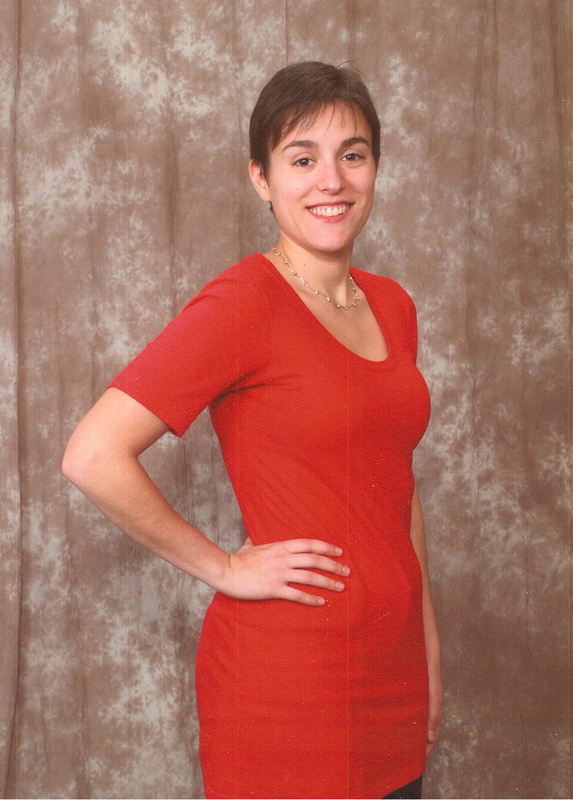 Alyssa is a Doctor of Electrical Engineering, doing a postdoc at a national laboratory. Besides her classes she and her classmates gather once a month for a dinner where they all speak Italian. Each person prepares something to tell the others in Italian. Alyssa is taking some family stories, written by her Aunt Beverly, and is translating them into Italian. The [notes] are from my research and are only in English. My great-grandmother, Grace Brigandi [Grazia Brigandi Palilla 1901 Sicily – 1974 NY] worked in a factory with Charles Palilla 1894 Sicily – 1984 FL]. They married on 13 May 1920 in secret. Carmen, Grace’s father, did not like Charles and at one point had even run after Charles with a baseball bat. After the marriage, Grace and Charles lived with Charles’s parents, even though they also did not approve of the marriage. My great-grandparents had four children: Carmella (who died after a few months), another Carmella, Angie (my grandmother), and Dominick. Charles and Grace had many jobs – Charles was a musician (he played both the bass and violin) and a salesman. Together, they had a clothing factory. However, for a while they had to pay protection money from the factory to the mafia. My family lived in Baldwin Place, New York. In 1974, Grace died, and Charles died in 1984, 3 months after I was born. Mia bisnonna, Grace Brigandi, lavorò in una fabbrica con un uomo Charles Palilla. Si sposarono il 13 maggio 1920 in segreto. Carmen, il padre de Grace, non si era piacuto Charles, e, a una volta, Carmen aveva corso a Charles con una mazza da baseball. Dopo il matrimonio, Grace e Charles abitarono con I genitori di Charles – nonostante che loro anche non approvarono il matromonio. I miei bisnonni ebbero 4 figli, Carmella (chi morì dopo qualche mesi), un’altra Carmella, Angie (mia nonna) e Dominick. La famiglia abitarono a Baldwin Place, NY. In 1974, Grace morì e Charles morì in 1984, 3 mesi dopo la mia nascita.